ELLIS Perks is the latest rider to be added to the 2019 Pride of the Potteries line-up which takes place at Loomer Road on April 13th. 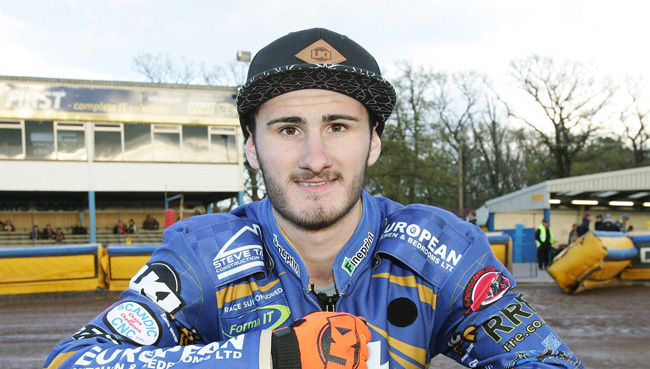 Perks who is the Great nephew of former Stoke rider Dave Perks and son of former SGB referee Robbie Perks will be riding for Leicester both at Championship and National League level and knows the Loomer Road circuit well having rode in flat track meetings held in his younger days and then with both Cradley, Eastbourne and Plymouth where he’s scored double figure scores around the Chesterton circuit. Worcestershire born Perks who is 22 years old today (18th March) has won the KO Cup with Eastbourne and was a four-team championship winner with Peterborough and will be making a charge for honours in the Pride of the Potteries and will be sure to challenge the home riders along with Max Clegg and Ben Barker.